For B2B companies, marketing through social media can seem daunting, and sometimes you probably wonder whether it’s even worth investing in at all. But social media isn’t just for high schoolers, selfie-takers and fake-news enthusiasts. There’s a massive audience logged into these channels – including the people you want to reach. For example, 72% of 50- to 64-year-olds use Facebook, and 84% of 30- to 49-year-olds use the platform. 50% of B2B buyers use LinkedIn when making buying decisions. And if you’re not marketing to your audience on social, your competitors probably are: 94% of B2B marketers use LinkedIn to distribute content. Each social media channel is unique, and it’s important to tailor your strategy and optimize your posts for each platform. LinkedIn, for example, is a more professional platform, and your content should reflect that. On Facebook, integrating visual media within your posts is crucial, so you need to include a good-sized image or video instead of just a headline or copy in order to generate engagement. You don’t need to be on every platform, either. You might decide that Twitter isn’t the best space for your company, or that you really need to lock in on LinkedIn to target your audience. It’s a much better strategy to focus your time and efforts wisely on the channels that really matter to your company and industry at large. And don’t be afraid to dive into platforms that might not be “traditionally” suited for B2B companies. For example, just 26% of B2B marketers are using Instagram, but a few notable companies are having success building their brands in that space. Instagram is a more creative platform that thrives on user-generated content, and it’s perfect for companies that are trying to connect on a more authentic level with users. It could also be a great fit for businesses with a more visual product, such as a flooring or home construction company. LinkedIn, on the other hand, is a more established B2B platform, and it’s a great place for industry-related content and for building thought leadership. Twitter is more restrictive in terms of content length (hello, 280-character posts), but it also allows for a little more latitude in formality, and it’s an easy place to form connections with your audience. On Facebook, you can show off a little of your company’s personality (and your team); it’s also optimized for posting video content, including live videos. Events and trade shows: You’re already doing face-to-face networking and outreach at industry events, and by taking it online you can more actively engage with attendees. Post in advance with your booth number so people can find you, and share photos and insights from events to reach those interested in a new space. Content assets: A good social strategy stems from a good content marketing strategy. When you write blog posts, white papers, infographics, case studies and other content pieces, social media is a great place to promote them. Sharing them online helps establish thought leadership and drive leads back to your website. Remember to be thoughtful about which assets to share freely for maximum visibility, and which to gate for lead generation. Nearly every social media platform offers insights into your audience demographics and post performance. Take advantage of these metrics to see what your audience is engaging with, what campaigns or types of posts are the most successful, when your posts attract the most attention, and exactly who you’re reaching on each channel. 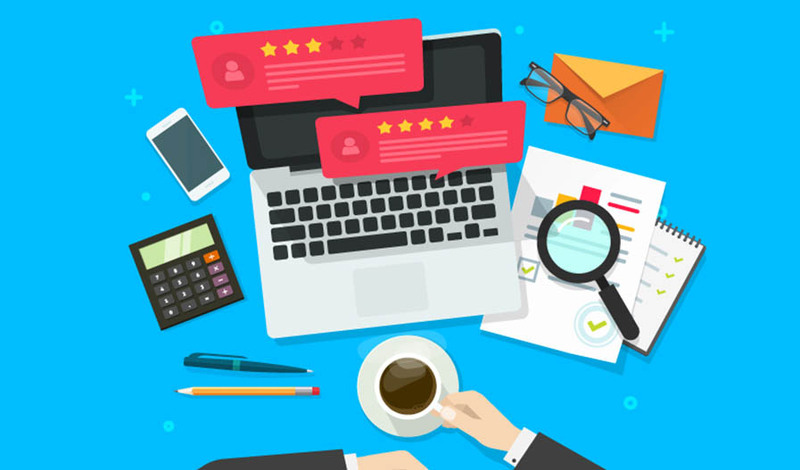 These analytics can give you important feedback to adjust your overall strategy, optimize your content and tap into new leads. 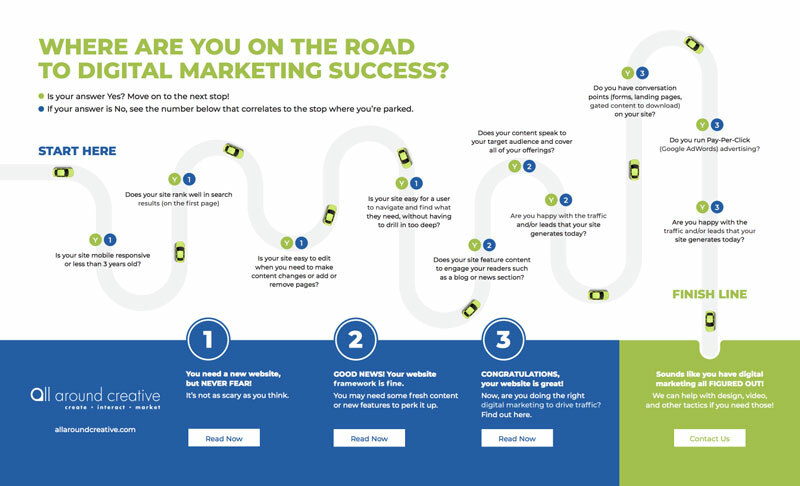 Measure your digital marketing readiness, including your social strategy, by taking a ride down the road to digital marketing success.